The first Democrat to be popularly elected governor of the Virgin Islands, Alexander Farrelly has also served his community as a practicing attorney, assistant U.S. attorney, judge of the Municipal Court, senator, National Democratic committeeman and other responsible positions. He was born at Frederiksted, St. Croix on December 29, 1923, to Patrick and Mary Hardcastle Farrelly. He later attended St. Patrick's Parochial School in his home town, graduating in 1940. For the next six years, he was enlisted in the U.S. Army, serving with distinction, and was honorably discharged in 1946. In 1951, he entered St. John's College, New York City, and earned a Bachelor of Laws degree in 1954. Four years later, he earned a Master of Laws degree from Yale University with emphasis on labor law.Shortly after graduation, he was appointed a Caribbean specialist in the United Nations by the Secretary General of the United Nations. In this position his responsibilities included the preparation of studies evaluating constitutional, economic, social, and educational development of territories under the administration of the United Kingdom, the Kingdom of the Netherlands, the Republic of France, and the United States of America. In addition, he was also responsible for staff representation before the joint Appeals Board and disciplinary proceedings including termination. In 1965, Attorney Farrelly was nominated judge of the Municipal Court, now Territorial Court, of the Virgin Islands by former Governor Ralph M. Paiewonsky and was unanimously approved by the Sixth Legislature. His performance as judge was characterized as scholarly, firm dispensation of criminal justice tempered with compassion. He also earned high respect from members of the Virgin Islands Bar. His election as the fourth elected governor of the Virgin Islands came in November, 1986, with a 64.44% of all votes cast in that election. This victory, after two previous attempts (1970 and 1974) made him the first Democrat in the Virgin Islands to be elected governor. In 1990 he was re-elected governor of the U.S. Virgin Islands.His commitment to the evolving political development of the territory remained one of his priorities and in his second year as governor, he submitted a bill to the Eighteenth Legislature designed to establish a Status Commission. The bill was approved in March, 1988, and the commission was established in 1989. Its primary function was to educate, prepare, and motivate the public to participate in a November 1989 referen dum by selecting one of seven options presented for future status of the territory.He was also elected National Democrat Committeeman and served in this position for ten years. Dr. George James Fleming, author, journalist, educator, and political scientist, was recognized for his tireless efforts in helping minority groups overcome social inJustices. 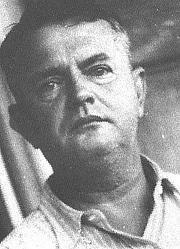 He was born on St. Croix, Danish West Indies, February 15, 1904, to Alexander and Ernestine Miller Fleming but left at an early age. Although he spent most of his adult life in Baltimore, Maryland, his influence spread to other places, resulting in social changes beneficial to Blacks. In 1954, Dr. Fleming joined the faculty of Morgan State University, Baltimore, Maryland, as professor of political science, and through these years he taught and urged Blacks to use the political process as the key to influencing governmental decisions that affected their lives. Four years later he established the Institute for Political Education with a grant of $300,000 from the Ford Foundation. Created for a four-year period, the institute is credited with training Blacks for prominent political positions. So effective was this institute that in 1975, several hundreds of its alumni honored Dr. Fleming at a testimonial dinner and established the G. James Fleming Scholarship Fund at Morgan State University. 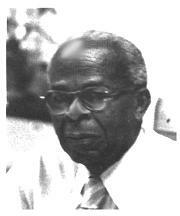 A highly respected lecturer, Dr. Fleming was guest speaker at a number of educational institutions, including Harvard University, Madison University of Wisconsin--Oshkosh, Ohio State, Earlham, Temple University, New York University, Howard University, Hampton University, and Coppen State College, Baltimore, and was visiting lecturer at the University of Pennsylvania, 1966-1968, and the University of the Virgin Islands. A recipient of many honors, one of his most impressive awards was the Laurel Wreath presented to him in 1981, by the Kappa Alpha Psi, Baltimore Chapter. This award is the highest honor the fraternity bestows on a member. In addition, he received the Alumni Distinguished Service Medal from Hampton Institute, his alma mater. A graduate of Hampton Institute in 1926, he earned a bachelor's degree at the University of Wisconsin in 1931, and a master's degree, 1944, and a doctorate in political science in 1948 from the University of Pennsylvania. As a journalist he was on the editorial staffs of such newspapers as the Norfolk Journal and Guide, the Philadelphia Tribune, the New York Amsterdam News, the Baltimore Afro-American, and periodically, the Virgin Islands Daily News. He also made radio broadcasts for the Voice of America, both from its Washington headquarters and its branches in Liberia and other African countries. Carl Emanuel Francis, one of several children of George and Lucy Blyden Francis, was born on St. John, Danish West Indies, May 13, 1867. His father died when Carl was very young and he was left in the care of his mother. He attended private and Moravian parochial schools on St. John. As a young adult he accepted the responsibilities of operating the family's estate. Declining economic conditions in the Danish West Indies forced him to seek employment elsewhere and he migrated to Santo Domingo where he lived and worked for twelve years. In 1904, he returned to St. John, repurchased and managed Estate Annaberg, formerly one of his family's estates. In 1909, he married Amy Elizabeth Penn and they attended Emmaus Moravian Church until he was appointed a Lutheran clerk and lay reader for the Nazareth Lutheran Church in Cruz Bay. He served in this post for almost fifteen years and resigned in 1932. During the Danish administration, Francis was a quarter officer for his district on the island of St. John, a post with duties comparable to a high ranking police officer. The system changed in the early 1920's under American rule but Francis was retained in his position which carried additional responsibilities. He was appointed by the governor with jurisdiction over a specific section of the island. He was also jointly responsible with other officials for law enforcement and was immediate supervisor of several civilian "constables" who reported through him to the government representatives at headquarters, Cruz Bay. He also served as the liaison on road maintenance and other public works functions in his district. Additionally, he represented the people of St. John at civic ceremonies, specifically at the Flag Raising Ceremonies of the Transfer of the Danish West Indies Islands to the United States, held at Cruz Bay following the ceremony on Charlotte Amalie, March 31, 1917. A very prominent citizen on St. John, appointed by the governor to the Colonial Council of St. Thomas and St. John, he served for approximately twenty years. During his tenure he actively represented the people of St. John, most of whom were not qualified to vote according to the prescribed stipulation of wealth and other assets. Due to failing health he retired from public life in 1933. 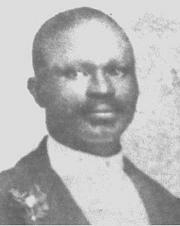 He died in Charlotte Amalie on October 26, 1936, at eighty-nine years of age. He had a son, Earle E., and a daughter, Carmen Francis Jensen. Herbert Grigg, recognized among Virgin Islanders for his efforts to improve the wel fare of his fellow men and to alleviate their suffering, was a "life saver" to many. When he retired from government service, he had given forty years to his community, most spent in the area of health care. Born in Christiansted on November 18, 1900, he was the son of Caroline Augustus of Denmark and Ernest Grigg of England. His parents placed much emphasis on education and following elementary school, he was sent to St. Lucia, West Indies, the educational center of the time. 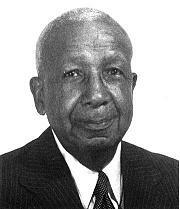 Graduating from Caliber College in 1921, he returned to St. Croix and took a job with the Department of Health. He was assigned manager of the Frederiksted Hospital, where his duties included supervision of workers, health facilities, and the procurement of food, supplies, and material. In 1928, he was transferred to the Christiansted Hospital, sharing the same responsibilities. Throughout his years he empathized closely with the needy and the aged, and was a confidant to many of his workers. He was eventually given managerial and procurement duties for all health facilities on St. Croix. He later served as registrar of vital statistics, fiscal officer, and personnel officer. In 1941, he was assigned to the Kingshill Home for the Aged as superintendent. In appreciation of his diligent and efficient performance, the Chief of Health Services on St. Croix, Dr. Meredith Huskens, recommended that the Grigg family be afforded housing at the Kingshill Complex. The family was moved into the Great House at the center and lived there for nineteen years. Herbert Grigg's dedication continued as he concentrated on improving conditions for senior citizens and the sick, often neglecting his own health. After twenty years of service at the Kingshill Home, he retired in 1961 because of ill health. Prior to his retirement, however, the Third Legislature of the Virgin Islands approved Resolution 145 on September 30, 1957, which designated the Kingshill Home for the Aged to be the Herbert Grigg Home for the Aged. The resolution, signed by the late Walter I. M. Hodge, president of the Legislature, was framed and presented to the institution, while a copy was given to his family. Geraldo Guirty, a son of Federico and Alice Petersen Guirty, was born on January 16, 1906. Known to many as the "Sixtonian," he introduced a column in The Daily News of St. Thomas dedicated to another outstanding Virgin Islander, Adolph Sixto. He received his early education at St. Anne's Parochial School (Roman Catholic), George Washington Elementary School, now Evelyn Marcelli School, and the Junior High School. When he moved to New York City, he continued his educational pursuits at New York City Evening High School housed at DeWitt L. Clinton High School and Rhodes Preparatory School. After obtaining a bachelor's degree at Long Island University (NYC), he pursued advanced courses at Columbia University, City College, New York Law School, and the New School for Social Research. A journalist by training, he served as special correspondent for off-shore newspapers such as The New York Amsterdam News, The Daily Gleaner of Jamaica, West Indies, Daily Chronicle of British Guiana (Guyana) and the New York Daily News. In 1930-1940, he served as special reporter to the World's Fair for the New York Daily News. Locally he has been a columnist for The Home Journal, The St. Croix Avis, and The West End News. He is currently a columnist for The Virgin Islands Daily News. While in New York, he and several Virgin Islanders founded an organization known as Virgin Islands Public Affairs Council (VIPAC), dedicated to a progressive Virgin Islands and greater home rule. On March 31,1957, when the territory observed forty years of American rule, VIPAC, led by Geraldo Guirty, persuaded New York's governor, Averell Harriman, to declare March 31st as Virgin Islands Day throughout the state of New York and to have Times Square renamed Virgin Islands Square for that day.After returning to the Virgin Islands he was appointed public relations officer for the Department of Commerce; and prior to that he managed the Virgin Islands exhibit for the civilian administration of Governor Paul M. Pearson, first civilian governor of the territory. Equally active in political affairs, he was elected as a delegate to the Third (1979) and Fourth (1981) V. I. Constitutional Conventions. He is also an elected member of the V.I. Board of Elections, and a member of the Election Law Reform Commission. He is affiliated with several local organizations, including St. Thomas Friends of Denmark, Women's League of St. Thomas, and the Virgin Islands Historical Society. He is a sustaining member of the National Democratic Committee. He has been a co founder of the Virgin Islands Public Affairs Council and the Coordinating Committee of Virgin Islands Societies, Grand Knights of Columbus, and a member of the Board of Directors for the St. Thomas Historic Trust. On June 20, 1986, Geraldo Guirty was honored by the Lions Club of St. Thomas for his distinguished public and private career, both at home and abroad.